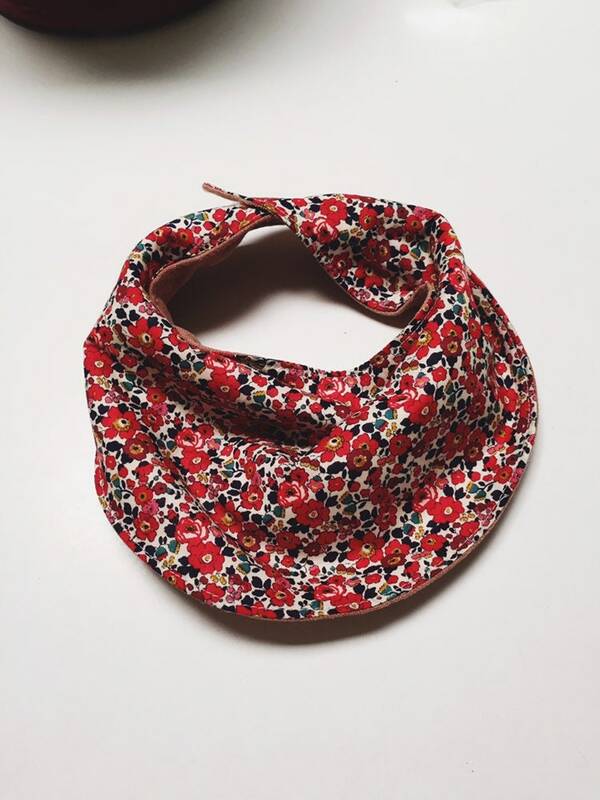 The Esther BABY BIB constructed in Liberty print Betsy Ann (deep red) is a cute and practice addition to dress your little one in. 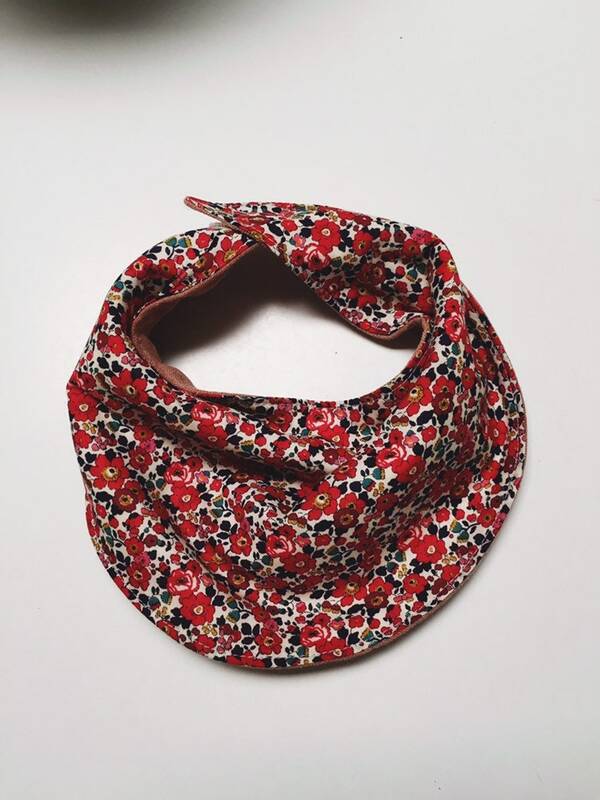 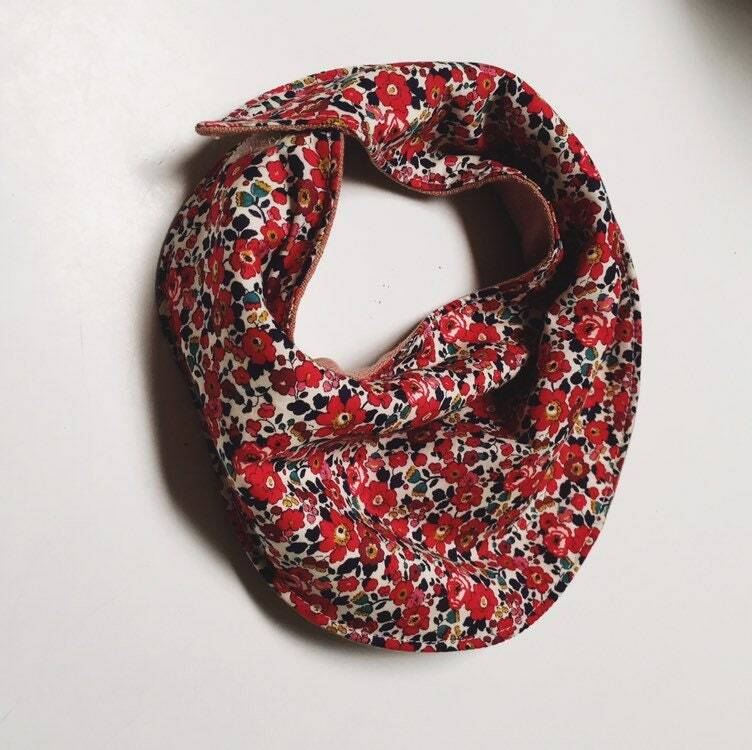 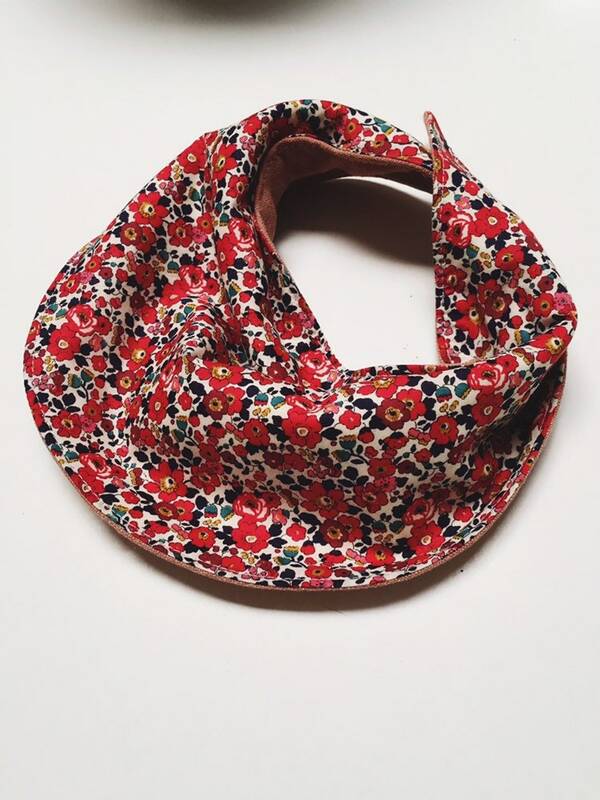 Bandana style Liberty Bib with reverse side in botanically dyed linen. 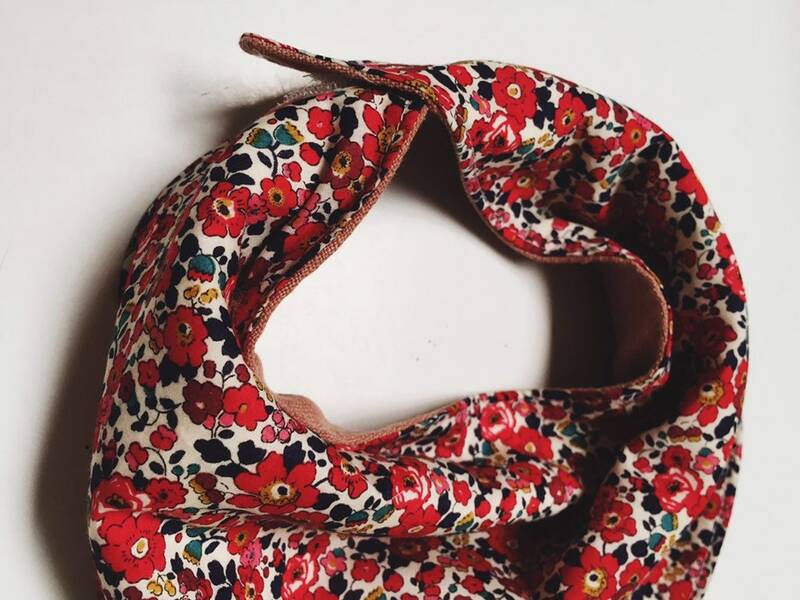 Internally lined with Bamboo-Cotton for added absorption. 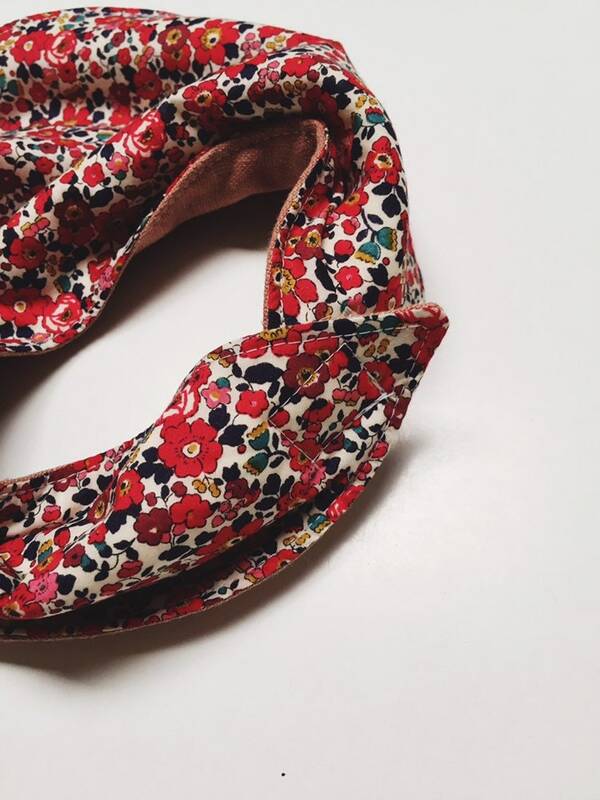 Velcro for fastening at neck.